Image © European Union, 2018 / Source: EC - Audiovisual Service / Photo: Etienne Ansotte. Political uncertainty has increased dramatically after Prime Minister Theresa May delayed the 'meaningful' parliamentary vote on the EU-UK Brexit deal and we would expect the British Pound to remain under pressure over coming days as a result. May cancelled Tuesday's vote to allow her to gather further concession from Europe on signs the deal would simply fail. May has this afternoon met with Germany's Chancellor Angela Merkel who has since briefed a parliamentary group saying no further negotiations on Brexit will take place. Merkel told the conservative bloc of lawmakers that efforts were being made to give Britain reassurances. Jean-Claude Juncker, European Commission President, will meet May later in the day, and the message will likely be similar. "I will meet Theresa May this evening in Brussels. I remain convinced that the Brexit deal we have is the best - and only - deal possible. There is no room for renegotiation, but further clarifications are possible," says Juncker. May is looking to seek legal assurances that there will be an end-date to the backstop clause included in the Withdrawal Agreement. 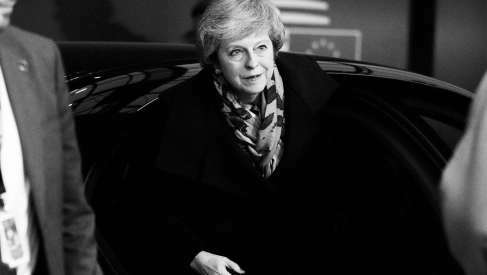 "For investors, the decision to add to their shorts or take profits will depend on the signals we get from Prime Minister May's meetings," says Valentin Marinov at Crédit Agricole. "What we will be hoping for is some clarity on what assurances the EU will be willing to offer." Foreign exchange markets are however increasing bets May's quest to Europe will ultimately come to nil: the opponents to the deal say they want the Withdrawal Agreement renegotiated to remove the Northern Ireland backstop clause, but Europe has categorically said this cannot happen. "I have decided to call a European Council meeting on Brexit (Art. 50) on Thursday. We will not renegotiate the deal, including the backstop, but we are ready to discuss how to facilitate UK ratification. As time is running out, we will also discuss our preparedness for a no-deal scenario," says European Council President Donald Tusk. The DUP and Conservative backbenchers opposed to the deal have maintained they will not budge in their opposition if the backstop clause is still included in the deal, therefore we see little chance of anything May brings back succeeding. "This statement by the European Council President suggests Theresa May is utterly wasting her time in delaying the vote - in that Tory Brexiters and the DUP say there is no possibility of them backing her deal unless the backstop is renegotiated," says Robert Peston, Political Editor at ITV. Financial Times Brussels correspondent Mehreen Khan reports EU sources are insisting this morning that May won't get a clarification on the backstop that will carry any legal weight. 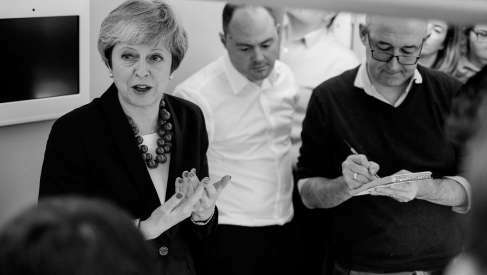 May told parliament on Monday that she would call a cabinet meeting to further 'no deal' Brexit plans; to us it seems full energy must now be deployed to 'no deal' planning as there is simply no one bloc that can carry the day in parliament. Indeed, the discussion might ultimately shift to the type of 'no deal' the UK and EU agree: a chaotic 'no deal' or a negotiated 'no deal' - obviously the former woud be highly negative for Sterling, the latter woud also be negative but much less so and we would imagine the currency could recover sooner. "Investors are clearly pricing in a greater chance of no deal. On the meaningful vote - quite simply how can she win it? It's hard to see how more nebulous EU reassurances will shift opinion in the House. May has given herself a stay of execution, but that is all," says Neil Wilson, Chief Market Analyst with Markets.com. The Pound-to-Euro exchange rate registered a high at 1.1194 before falling to a low of 1.1006, it closed the day at 1.1062, its lowest closed since August 28. This fall is actually not as great as the fall suffered on November 15 when it became clear the newly-struck Brexit deal between the EU and UK would not pass. We do see the potential for the GBP/EUR exchange rate to consolidate at current levels owing to the support seen in the 1.10-1.11 vicinity. The Pound-to-Dollar exchange rate trades at its lowest level since April 2017 at 1.2571, the exchange rate going as low as 1.2507 in the previous day from a high at 1.2760. "Political uncertainty, whilst very high at present, only looks like it will increase over the coming days. This raises the prospect of further selling pressure on sterling in the near-term," says Wilson. Junior Brexit Minister Robin Walker has told parliament that a vote on the deal - or whatever the next steps proposed by government might be - will now occur before January 21. "It is our clear intention that this house will consider this matter before the 21st January and have the opportunity to decide on the deal," Walker said. "In the unlikely and highly undesirable circumstances that as of 21st January there is no deal before the house, the government would bring a statement to the house and arrange for a debate as specified by the law." Walker was responding to an urgent question put forward by an opposition lawmaker. "We will have a vote in this house, a motion before this house, by the 21st of January. That is in all scenarios I talked through in my statement," adds Walker. Mazen Issa, Senior FX Strategist with TD Securities, says January 21 represents "the drop-dead date". 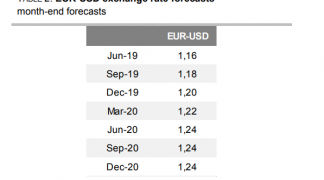 "GBP volatility will remain a fixture of FX markets," says Issa in a client note, "it is interesting to note however that despite the negativity surrounding Brexit, the EUR has been less perturbed, suggesting that EUR/GBP should remain fixated around 91c in the meantime. 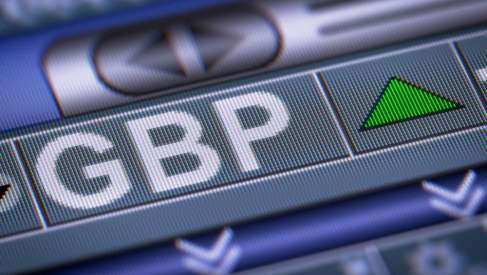 EUR/GBP at 0.91 gives a Pound-to-Euro exchange rate of 1.10. Domestic political developments in the UK meanwhile only add to the uncertainty and we would expect the British Pound to remain under pressure over coming days as a result. The downside bias in Pound Sterling is likely to persist with signs of a growing movement amongst opposition parties to come together and force a no confidence vote in the Prime Minister Theresa May's government following her decision to delay the 'meaningful vote' on her Brexit deal. The Pound fell to three-month lows against the Euro and 20-month low against the U.S. Dollar. "So Jeremy Corbyn - if Labour, as official opposition, lodges motion of no confidence in this incompetent government tomorrow, the SNP will support & we can then work together to give people the chance to stop Brexit in another vote. This shambles can’t go on - so how about it?" It is rare to see the SNP and Labour considering a vote owing to their fierce rivalry in Scotland, but hints from Labour that they would not rule out a second Scottish independent referendum could also be behind the move. "If (the need for permission for a Scottish independence vote) arises then we will consider it then, but it’s a hypothetical at the moment," Labour's Shadow Chancellor John McDonnell said in a tour to Glasgow last week. Considering the SNP's enduring focus is Scottish independence they see an incentive to have Labour in power. However, can an alliance of Labour, Liberal Democrat and SNP MPs overthrow the government? The answer is not without Northern Ireland's DUP and/or some Conservative party members rebelling against their government. While it is hard to see the numbers coming together, we would say that the chances of the government losing a no confidence vote have risen dramatically should remain-leaning MPs side with a coalition designed to halt Brexit. The key point here, at least from a currency perspective, is that a strong alliance designed to blocking May is likely to deny any potential opposition votes for the final Brexit deal May brings back from Brussels. It only entrenches the view that there is no bloc in parliament capable of winning any kind of negotiated Brexit, or no-Brexit. The default is therefore likely to carry the day, and that is a 'no deal' Brexit on WTO terms. The outlook for Sterling remains negative in our view.